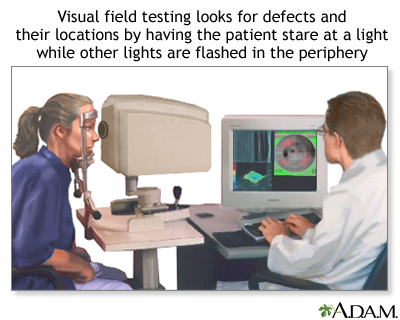 To help prevent an attack in the other eye, the procedure will often be performed on the other eye. This may be done even if it has never had an attack. Anderson DR. 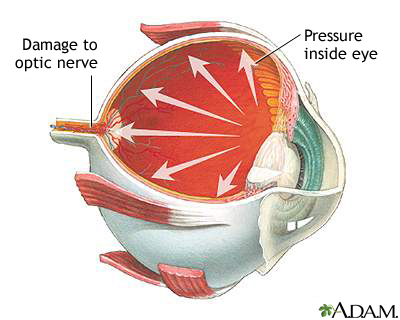 The optic nerve in glaucoma. In: Tasman W, Jaeger EA, eds. Duane's Ophthalmology 2013. Philadelphia, PA: Lippincott Williams & Wilkins; 2013:vol 3, chap 48. Giaconi JA, Law SK, Caprioli J. Primary angle-closure glaucoma. In: Tasman W, Jaeger EA, eds. Duane's Ophthalmology 2013. Philadelphia, PA: Lippincott Williams & Wilkins; 2013:vol 3, chap 53. Kwon YK, Caprioli J. Primary open-angle glaucoma. In: Tasman W, Jaeger EA, eds. Duane's Ophthalmology 2013. Philadelphia, PA: Lippincott Williams & Wilkins; 2013:chap 52. Mandelcorn E, Gupta N. Lens-related glaucomas. In: Tasman W, Jaeger EA, eds. Duane's Ophthalmology 2013. Philadelphia, PA: Lippincott Williams & Wilkins; 2013:chap 54A. Prum BE Jr, Lim MC, Mansberger SL, et al. Primary Open-Angle Glaucoma Suspect Preferred Practice Pattern Guidelines. Ophthalmology. 2016;123(1):P112-1151. PMID: 26581560 www.ncbi.nlm.nih.gov/pubmed/26581560. Rhee DJ. 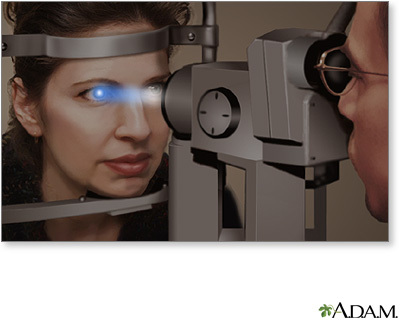 Which therapy to use in glaucoma? In: Yanoff M, Duker JS, eds. Ophthalmology. 4th ed. Philadelphia, PA: Elsevier Saunders; 2014:chap 10.23.